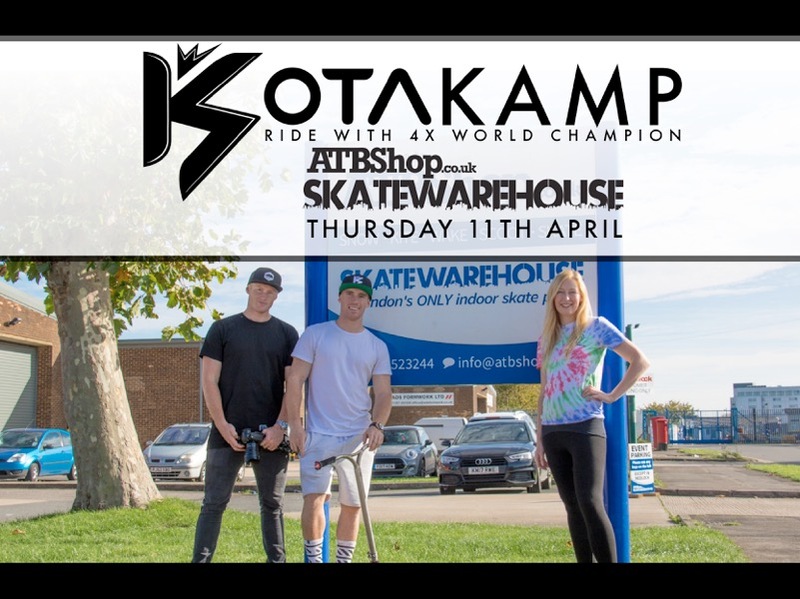 ATBShop Skatewarehouse is pleased to announce that Dakota Schuetz will be hosting his second ATBShop Kota camp in Swindon this Thursday – 11th of April from 10-1pm. This is a TICKET only event and will SELL OUT so you’ll have to be quick to get a ticket, as spaces are limited. Here are some FAQ to help you with the event. Do I need to buy a ticket before the day? YES. No ticket, no entry I’m afraid. Last time Kota came down to ATBShop we had to close off the shop as it was soooo busy. The tickets sold out a week before the event last time. We hate disappointing people so buy your ticket now while we have them. Only if there are some left but last time they sold out too quickly. Can I buy a ticket on the phone? Call us on 01793 523255 with a credit card and we can sort or buy on line here. Yes we like to keep the camps smaller so, once the tickets are sold there’s nothing more we can do. The event starts at 10am so please arrive no earlier than 10-15 mins before hand. Any one arriving earlier will have to wait outside as we will just not have the room. Wear your usual gear – sports clothes – you will get hot so make sure you’re wearing a T-Shirt. Also Helmets are a must if you’re under 18 and pads are optional but recommended. What will they be doing on a Kota camp. Kota is amazing at getting groups of kids to listen and join in. Watch this YouTube on what will roughly happen on the day.